It is an exciting few weeks for the Editorial team and as you read this I will be in Iceland catching up on some Winter photography (I hope !). I completed my exhibition and you will find an article on the final preparations for the opening in the current edition of the magazine. 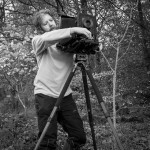 On my return from Iceland I travel to Scotland for the Paul Wakefield workshop and Adrian Hollister’s Open Studio at the Image Studio at Mellon Charles. A busy month on the road. By the time the next issue comes out we will have been at The Photography Show with Paula on the Linhof Studio stand at E50/51 where Andrew Nadolski and / or David Tolcher will be on hand to answer your questions or for a chat. We would love to see as many of you as we can so please stop by and say hello. Linhof Studio and OnLandscape are launching a new ‘OnLandscape’ filter kit in either LEE 100mm or Seven5 with a selection of filters that we think are essential in the field despite the stunning DR performance of modern digital cameras and software. This edition contains an article revisiting filter use. A reminder again about the conference in November, bookings are going well so please consider signing up if you haven’t already booked. Click here for more information. 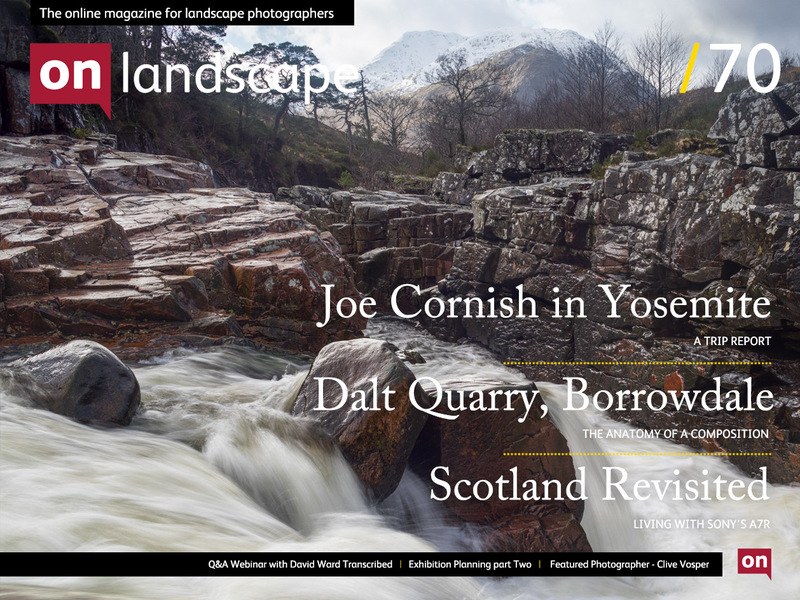 This edition of the magazine has some exciting new images from Joe from a recent trip to Yosemite. I have written an article on hunting out an image at Dalt Quarry in Borrowdale articulating some of the conscious and subconscious decisions that we make when scouting a location. We finalise the trilogy of articles on the A7R with an ‘in the field’ report from Scotland by David Tolcher. This remains an interesting camera which Joe has also been working with for Sony over the last few weeks. Along with our regulars I hope that you enjoy this edition of the magazine.